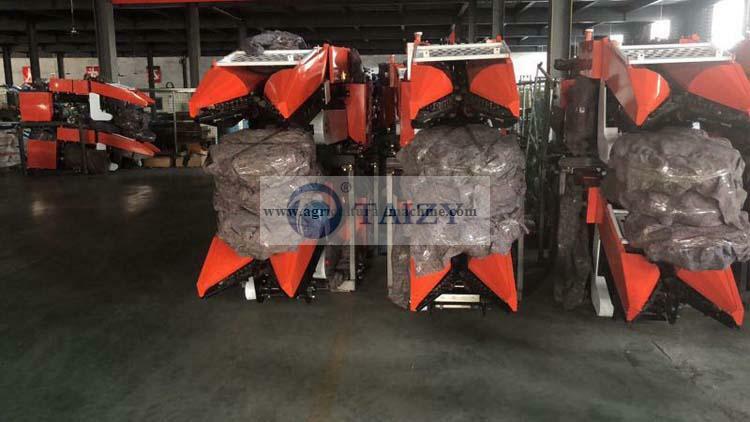 This corn cutter developed by our company bears new design, adopting domestic first-class mechanical drive and hydraulic drive technology, and it is easy to control and operate. 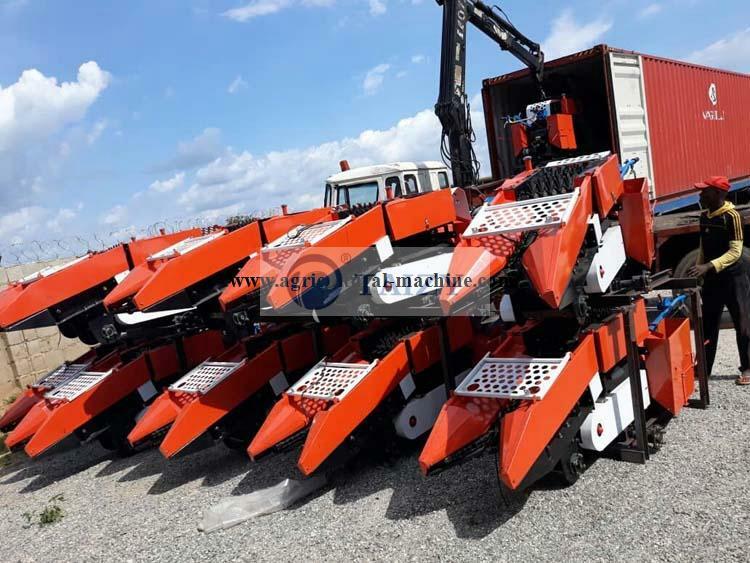 It integrates the picking, conveying, peeling, packing and straw crushing as a whole, meeting the needs of users in different regions. The corn harvested with straw returning should be cut as far as possible after the corn is ripened for 3 to 5 days. In this way, the kernel of corn is full and the water content of them is low that is good for peeling the corn husk. In addition, yellow straw with low water content can be effectively crushed, reducing labor time. 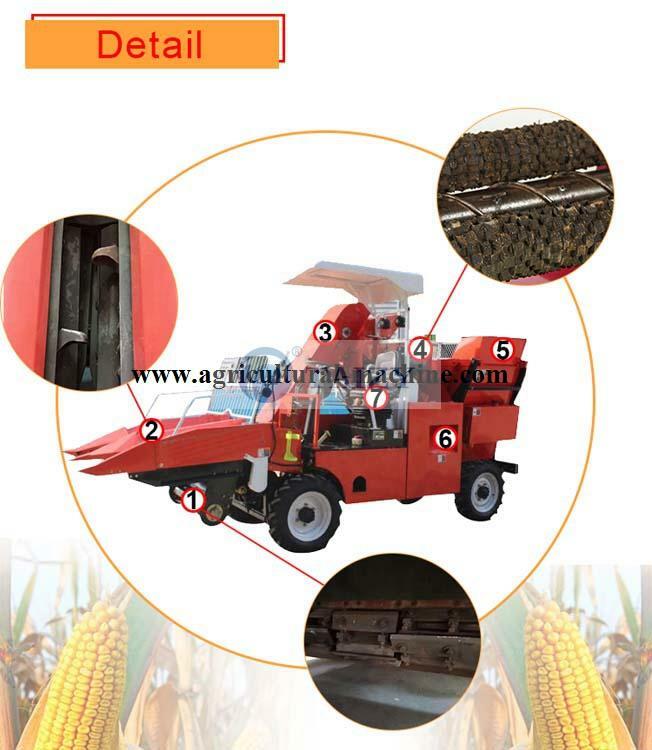 There are 8 peeling rollers inside harvesting cornmachine that can remove the skin of corn after harvesting, saving labor time. 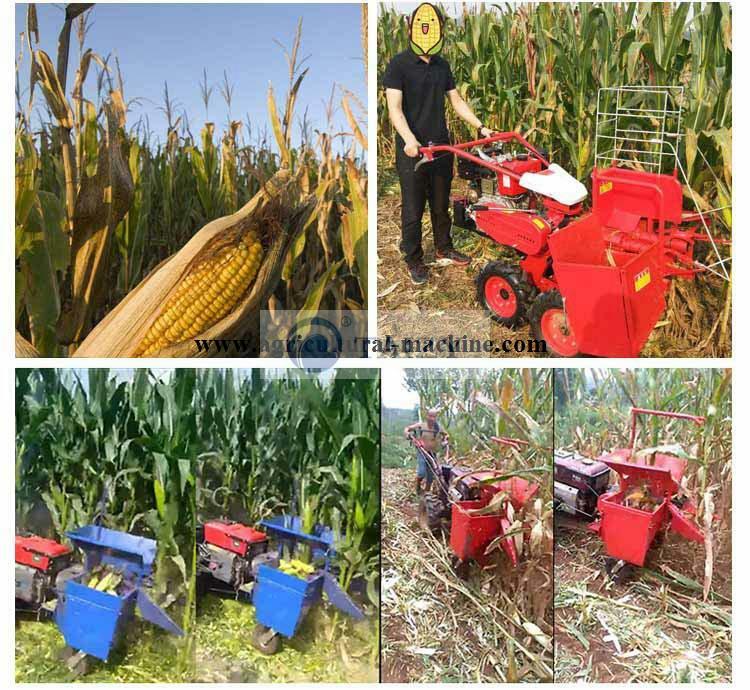 Corn harvesting has big size, and it is more stable than other types during operation. It integrates picking, conveying, peeling, packing and straw crushingas a whole. The loss rate of corn is pretty low: less than 3%. There is a cab on the upper of machine, and people can sit in it and run machine easily. Reason: The position of the picking board is not suitable (the gap is too close), and the transmission triangle belt is too loose. Solution: Adjust the clearance of the picking plate to the appropriate size. 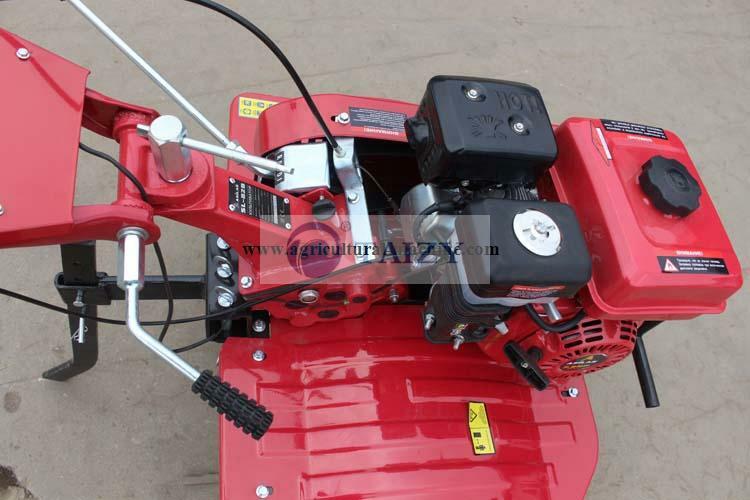 Due to the different thickness of the straw, the tension of the transmission belt is adjusted between 20-50mm. Reason: The clearance of the movable knife is too long, and the blade of it is not sharp. Solution: Adjust the clearance between the fixed knife and the movable knife ranging from 0.3-1.5mm. Reason: The peeling rubber roller is seriously worn, slipping from the driven rubber roller. Solution: change the pressure of stripping roller by adjusting the bolts or replace the stripping roller. Phenomenon: The gearbox has abnormal noise, oil leakage or overheating. Reason: Gear or bearing is worn. Installation direction of oil seal is wrong or aging. Side gap is too close and there are little lubricant oil. Solution: 1. Adjust the gear or bearing installation clearance. Reinstall or replace the oil seal. Tighten the bolts and adjust the oil to the appropriate height. 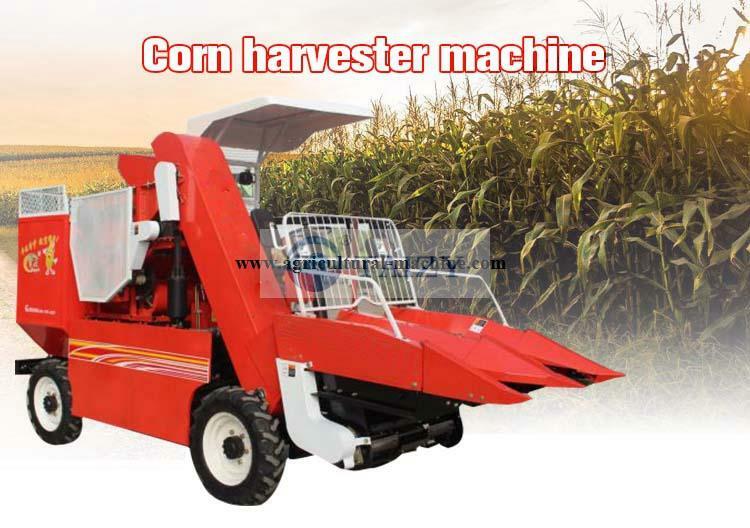 It is a small size corn harvesting machine and suitable for individual farmers. 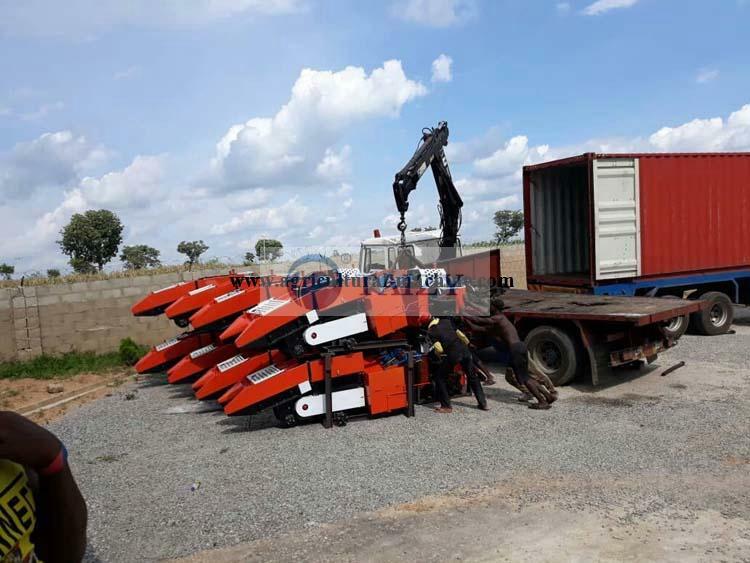 Machine is easy to operate in the field, and one person can finish all the processes. 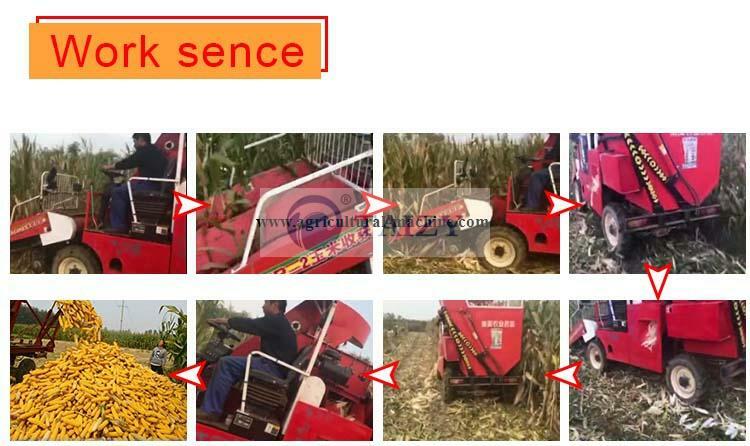 What’s more, due to the new design of a small container at the side of machine, corn can directly fall down it after harvesting. 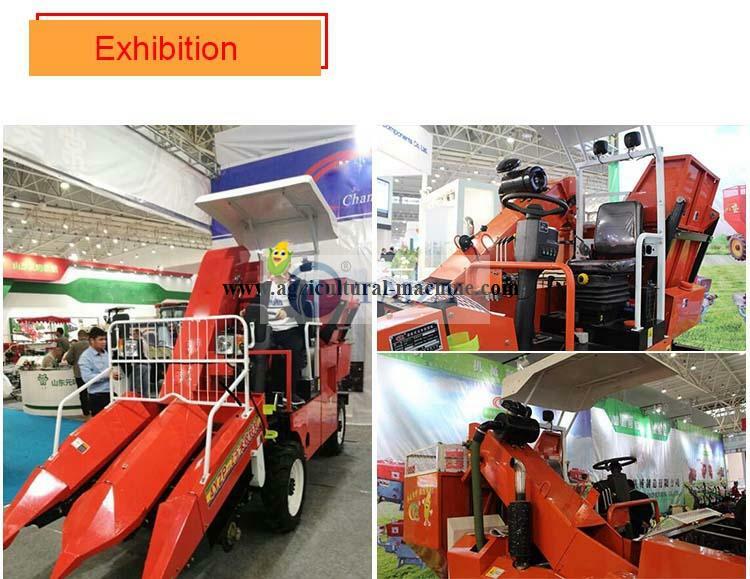 In addition, this cutting corn machine also can crush the corn straw into pieces, increasing the nutrition of soil. Corn harvester priceis low and almost all farmers can afford it. It just needs one person to push forward, which is easy to operate. The angle of two handles is adjustable. It is small in size and light in weight and can apply to many fields such as plan, hill, mountains etc. 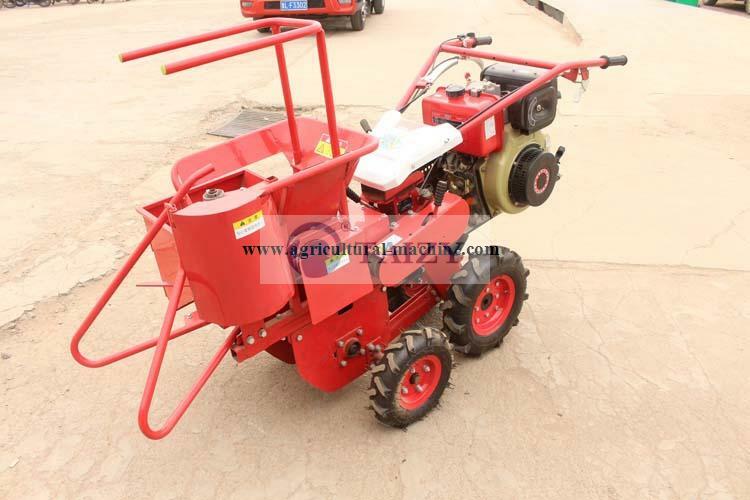 We once sold 200 sets maize harvester to Nigeria, which is a big project for our customer. Due to big size, one 20GP just can contain one machine. 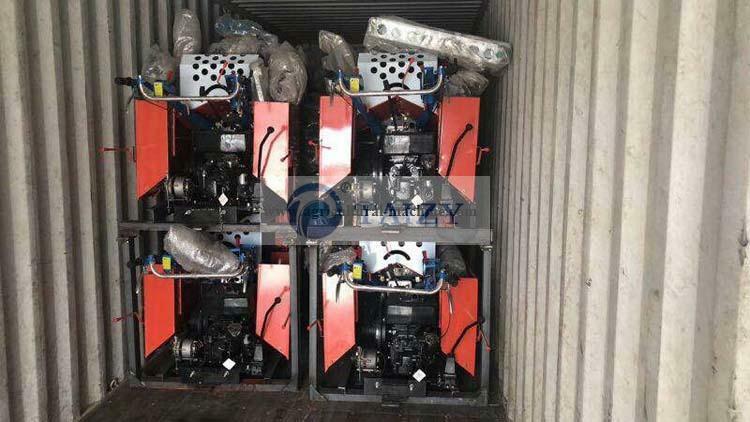 The following pictures are the details they received machine in their country. 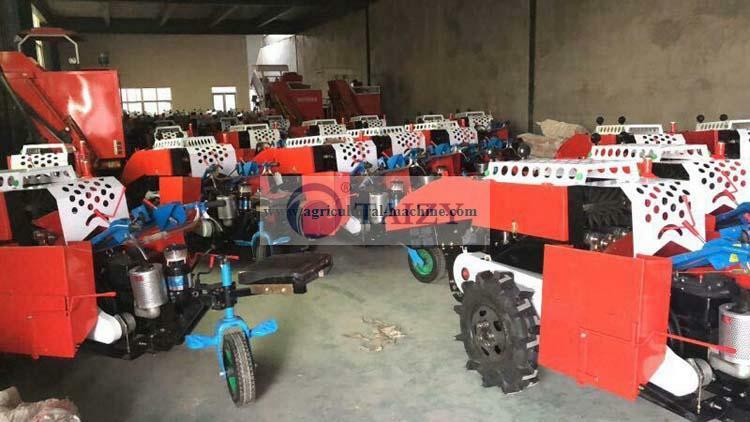 In the beginning of April, 2019, the customer we have cooperated many times ordered 32 sets corn harvester machine. The first cooperation between us was engaged in 2015, with the 4 years going on, he still trusts us and places order from us again and again. We are preparing the machine now and try our best to produce machine with best quality. How many rows can be harvested? What is the loss rate? What is the minimum distance from ground? Can the corn skin be removed during operation? 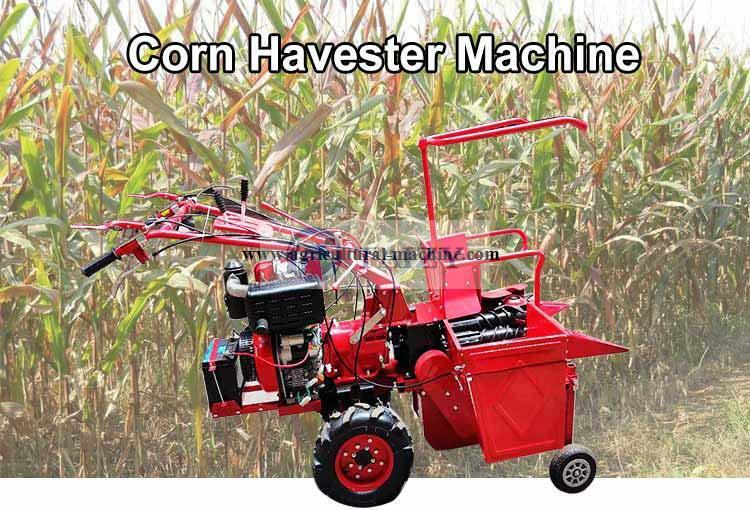 No, this corn harvester just harvests the corn. How many rows can it cut?